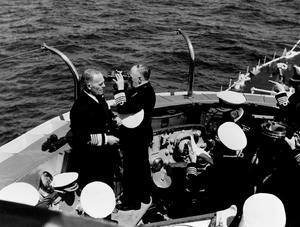 FIRST SEA LORD WATCHES COMBINED FLEET EXERCISES IN THE MEDITERRANEAN. 22 MARCH 1952, ON BOARD THE CRUISER HMS LIVERPOOL, FLAGSHIP OF C IN C MEDITERRANEAN DURING COMBINED HOME AND MEDITERRANEAN FLEET EXERCISES (GRAND SLAM?). 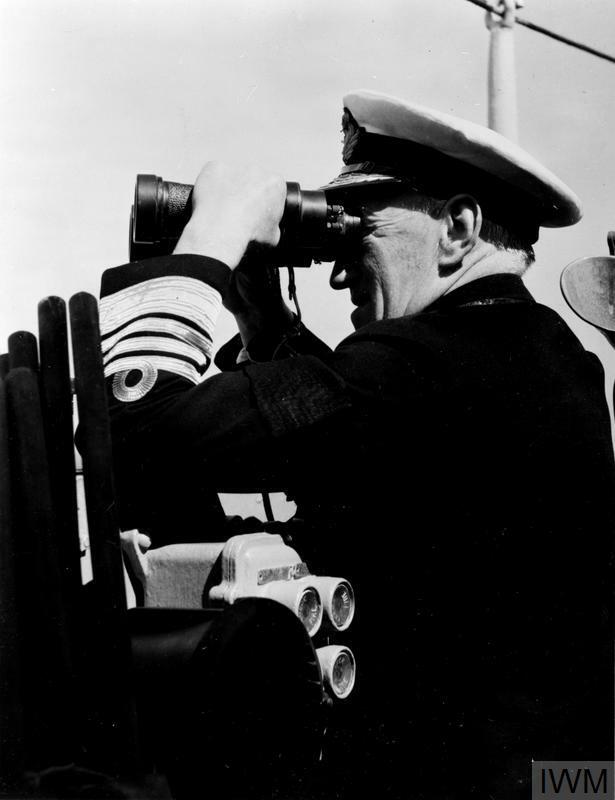 The First Sea Lord, Admiral Sir Rhoderick McGrigor, takes a look at the ships of the Home and Mediterranean Fleets exercising in the Mediterranean from the bridge of HMS LIVERPOOL. 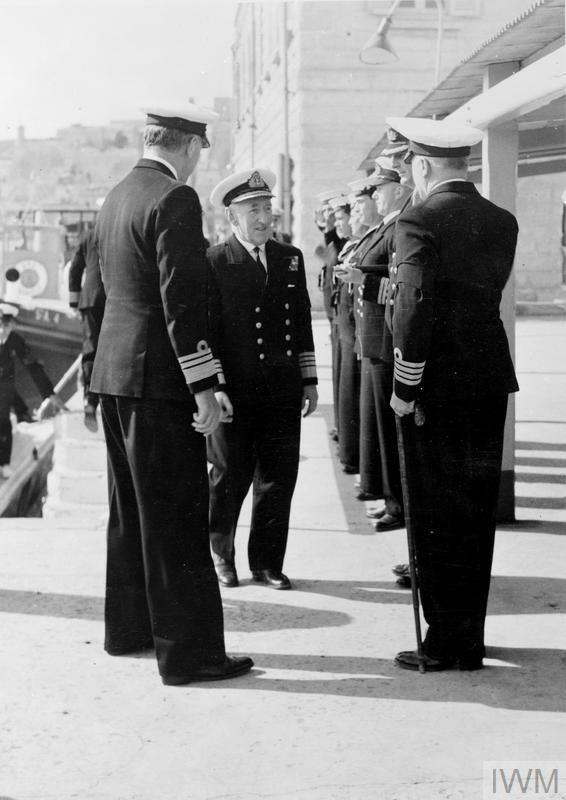 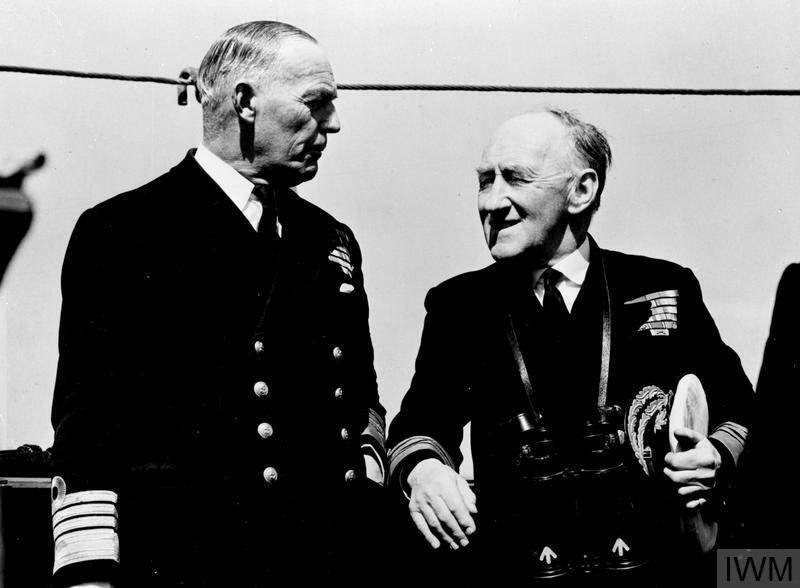 The C in C Mediterranean, Admiral Sir John Edelsten, stands beside the First Sea Lord.